Download Free eBook Here and share it with your friends. In the twelfth century, the English abbot Aelred of Rievaulx wrote the foundational treatise On Spiritual Friendship. Aelred made the case that one of the great practices of the Christian life is being transformed by the presence of a spiritual friend. Tom is one such friend for me. He is a source of great spiritual encouragement. He is a defender of my soul. He nourishes my life and brings me both challenges and joy. Tom has helped me be a better minister of the gospel, and has advised me on my spiritual life. Did I mention that Tom does not identify as a Christian? Not only does he not identify as a Christian, he most closely aligns with Unitarians and is unapologetically secular and progressive. Additionally, he is a promoter of liberal thought through his religious writings, primarily as a member of the board of contributors for USA Today. You can find Tom Krattenmaker all over the Internet, if you want to. 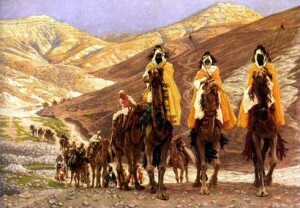 On the feast of Epiphany (January 6), the Magi (wise men) arrive. They are odd characters aren’t they? On several levels, they are so incongruent with the rest of Christ’s birth story that we can only assume that their appearance is not only historically accurate, but also theologically necessary. Who were the Magi anyway? They appear to be spiritual scholars of some kind who—prompted by a strange star—went on a great quest to discover the divine story. They were not Christians (there were no Christians as such at this point in history). There is nothing in the text to suggest they were Jews either. They were stargazers from the East. Were they Zoroastrians? Astrologers? We do not know. But they are most assuredly spiritual “exotics” within the narrative of Jesus. They stand out. You know what is most shocking to me about the Magi? 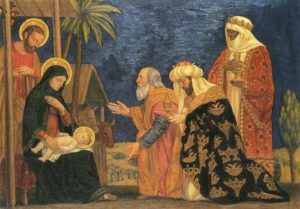 How comfortable Matthew—the Jewish disciple of Jesus—was to include the Magi in his Gospel. And more importantly, how delighted Jesus, through the inspiring Holy Spirit, was to welcome these spiritual foreigners into their nativity story. Some of my Christian friends flinch a bit when they learn that my friend Tom does not identify as a Christian. It’s hard for some to accept the fact that a public purveyor of a secular-progressive message could be a true “spiritual friend” to a faithful Christian. Tom would be the first to admit that he once lived on the other side of the cultural/theological gap which separates the stereotypically conservative Christian world from the world of secular progressives. He would also admit that he once had an agenda to reveal the foibles and follies of “fundamentalist” Christianity. There was a time that, when Tom looked into the conservative Christian world, he saw mostly darkness. However, just as when one stares into the darkness of the night sky, the longer you look, the more you can’t help but see the stars. Yes, Tom now sees the twinkling stars in the once dark world of evangelicalism. He’s seen the side of us that many spiritual foreigners haven’t—the signs of Christian life and light that shine God’s life to the world. He was so moved by what he saw, that he couldn’t help but write a book about it. The purpose of his book, to declare to the rest of the world the examples of heavenly beauty that he had witnessed through evangelicals. His book is called, The Evangelicals You Don’t Know, which is an examination of some of the most beautiful examples of faith-life in America. He does not necessarily have frankincense or myrrh to offer to us, but in seeing the stars, he has brought us (and the world, I think) a gift. Tom is my spiritual friend. I believe he is your friend as well. He may have come from afar, but he’s here seeking light. Who are the Magi-friends in your life? Who are the unexpected spiritual-exotics that God has brought into story? Do you see the gifts that they carry with them? This Advent season, celebrate those Magi-gifts that God has given to you and your family.